For the past 9 years I have lived on the south shore of Long Island NY on Long Beach Island. Long Beach is less than 30 miles away from NYC and is a great place to live. You could surf in the morning and then be at the top of the Empire State building in about an hour. Over the past 9 years I have been employed by a large medical device company call Medtronic. I work in the operating room with surgeons who use my devices to cure various disease states. I have been married to my wife Kim for six years and we have a four year who is also named Dan. In the summer we spend a lot of our time at the beach with family and friends. All three of us love to snowboard so we also spend a lot of time at our condo in Killington, Vermont. 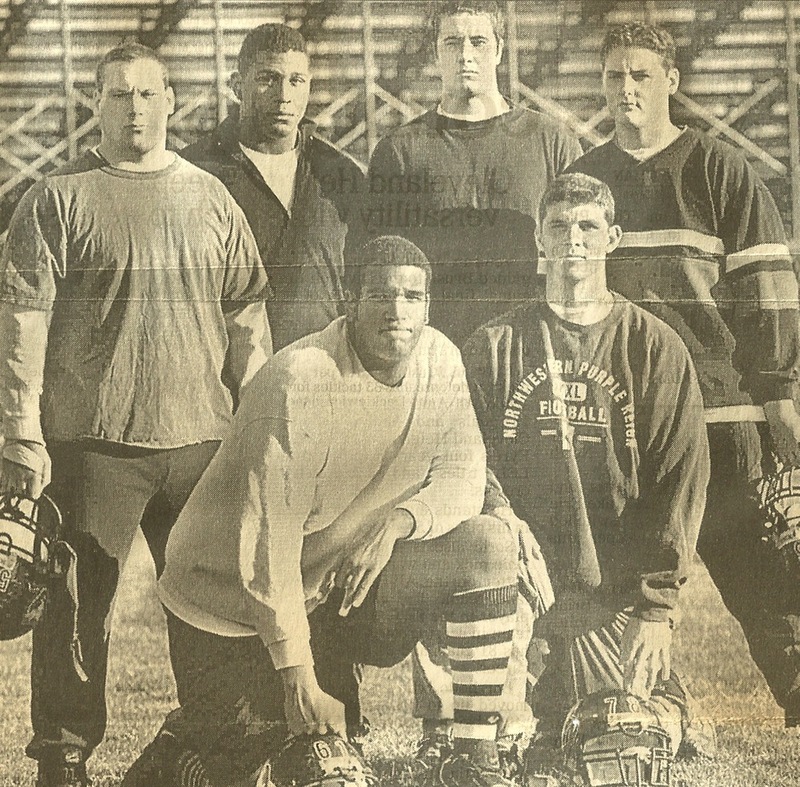 My fondest memory from playing football at DeSales is winning the '98 state championship my senior year. If I remember correctly Roy Williams scored on a 50 or 60 yard run on the first or second play of the game against Walsh Jesuit and right then and there I knew we were going to win! Looking back I'm really not sure what my best game at DeSales was...I'd like to say it was the state championship game my senior year. One thing I can remember for sure is our record, 26-2 and Back to Back State Champs! As someone who has now lived outside the state of Ohio for over 15 years I can tell you that playing high school football in Ohio is special in itself. High school football is really not much of a focus for New Yorkers at least from my perspective. So what makes playing at DeSales special? How much time do you have? Tradition, commitment, toughness, Bob Jacoby, Back to Back State Championships, "Football Friday Night", playing Watterson in front of thousands sitting in the bleachers and on TV, stretching in the shape of a cross, hitting the five man sled in the dark, running 100 yard sprints, and singing the fight song after every win are a few things that come to mind. It has been a long time since I have been back to see a game however I do check up on the Stallions box score every week.